The Model 915 AC Anti-Static Bar has been designed to meet the most arduous of static elimination problems, including those encountered in high speed web applications. The powerful performance of this anti-static bar provides very fast decay times and effective anti static ionisation up to distances of 150mm. The 915 antistatic bar is shockless and is easily maintained. 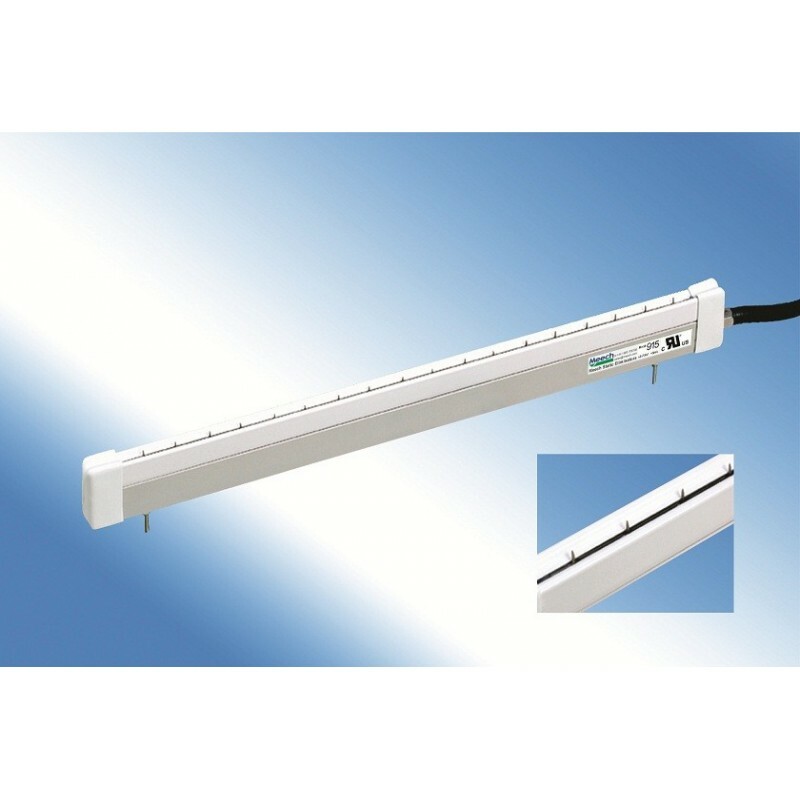 The Model 910 anti-static bar incorporates an inductively coupled design that achieves powerful static neutralisation with completely shockproof operation. The design is compact, yet rugged, for most industrial applications and has become an industrial standard for reliable, cost effective neutralisation.